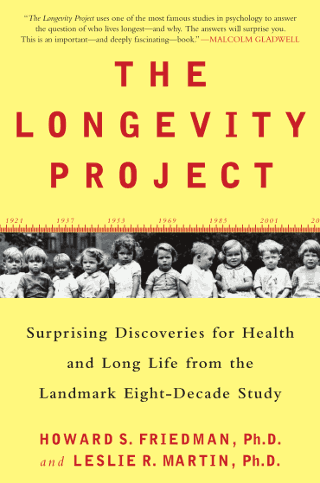 This eight-decade longitudinal study thoroughly tested hypothesis and preconceived notion that we have about how to achieve a long life, e.g. e.g. ‘is it true that an extrovert carefree person lives a longer life than the introvert and conscientious one?’, ‘is it true that staying single reduces our chance to live a longer life?’, ‘is it true that the way to achieve longer life is to avoid stress?’. Our society is used to frame longevity issue in a symptom-tackling or checklist manner but this study dug deeper in answering why and exploring the dynamic interplay between many factors, e.g. personality, social environment, family condition, married/single, gender, etc (as the study followed the respondents’ lives since their childhood until they died). Indeed the result of this study challenged our perception and belief about longevity. Here’s the interview video with the authors explaining about their book and the trivia about which myths negated by this research . I personally think that there are still a few ‘why’s that are yet to be answered (perhaps due to the limitation of the study) but I believe it is a good starting point for us and our society in framing our strategy and policy to promote health. Note: this book provides some self-assessment tool to help us map where we are and what we should do to improve our health. For more information, check out the author’s website.